For home and business owners, choosing the right roofing contractor can be an overwhelming task. We rarely think of our roofs and expect them to last a lifetime. But when the time finally does come to repair or replace the roof for your home or business, how are you to know what to look for when hiring a roofing contractor? When a roofing contractor has a reputation for being professional and honest, word tends to spread. Chances are you know someone who has recently had to replace their own roof. Start by asking around to see what your neighbors have to say about local roofing contractors in your area. This is a great way to weed out contractors that are unprofessional, overpriced, or ill-insured. Once you’ve decided you’re ready to contact a roofing contractor, make a list of questions to ask while you’re on the phone, or stop by and pay them a visit. This will give you an opportunity to not only learn more about the company, but to see how prepared the contractor is. If the company you speak with is unwilling or unable to answer your questions, or provide you with the information you’ve requested, this is a red flag and you should steer clear of establishing a working relationship with them. Ask how long has the roofing contractor been in business. This will give you an idea of the amount of experience the contractor has, if they’ve been performing quality work, and if you can count on them to be around after your job is complete, in the event that something were to go wrong. Is the roofing contractor licensed, insured, and an authorized installer of their choice of roofing material? One of the most important steps in finding a roofing contractor is gathering proof of the contractors license and insurance to perform the duties you’re requesting of them. 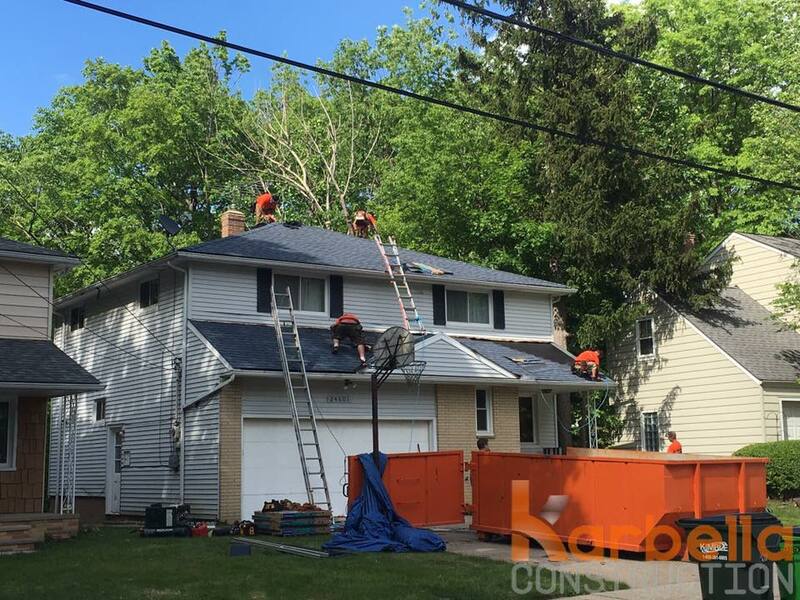 The dangerous nature of working on a roof, coupled with the importance of caring for your home or business, means that you should never choose a roofing contractor that does not possess these certifications. Finally, once you have had the opportunity to outline the project and discuss your specific needs with the roofing contractor, ask them for a portfolio or examples of their previous work. If they have existing customers who are comfortable in speaking with you, ask to be put in touch with them so that you may hear from an unbiased third-party how their experience was from beginning to end.